Prepare to take part in one of the greatest adventures from the infinite future of the DC Universe, and join the industry’s top creative teams in a round-robin, no-holds-barred, storytelling extravaganza titled THE KAMANDI CHALLENGE! 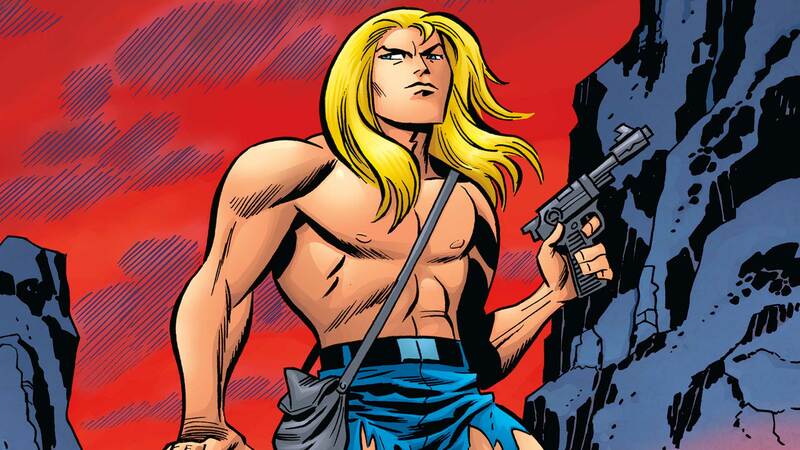 Born from the mind of Jack “King” Kirby, the post apocalyptic Earth of Kamandi has been a fan favorite for decades, and now 14 intrepid teams of writers and artists build on this incredible foundation and take the title character on an epic quest to find his long-lost parents and travel to places seen and unseen in the DC Universe. Each issue will end with an unimaginable cliffhanger, and it’s up to the next creative team to resolve it before creating their own. It’s a challenge worthy of “The King” himself! In this premiere issue, the Last Boy on Earth is dragged from his safe haven by a group of tigers, only to face the nightmarish threat of the ultimate weapon!